California and Argentina. What does this US State and South American country have in common? Answer: Paul Hobbs. 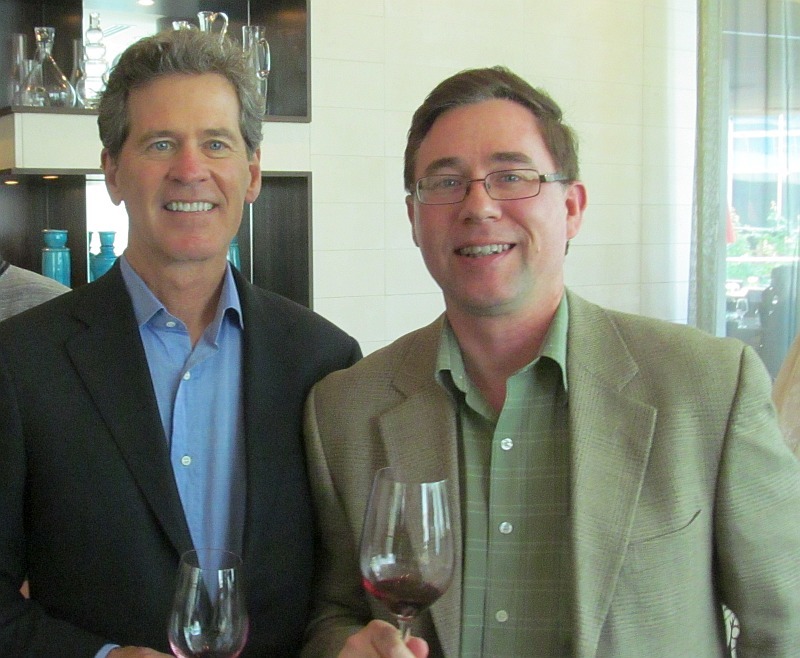 Through my interview with Paul, I learned about his love of wine and interest in making interesting wines from interesting regions around the world. Having a northern hemisphere and a southern hemisphere harvest each year gives Paul the chance to refine his wine making craft, and doing something he loves. Paul’s wines are carefully made, from select vineyards that he owns, or which he has contracted for many years, using sustainable methods; fermented with native yeasts; aged in French oak; and bottled unfined and unfiltered. While all these steps/methods are used to produce a wine of character, it does come with a price. These wines for some may be a regular purchase, but for others for a special occasion. I don’t hesitate to recommend buying one of Paul’s bottles in either case. Paul Hobbs Crossbarn Sonoma Coast Chardonnay 2012 ($39.99) – Nice tropical fruit with a hint of vanilla on the nose. Medium body and acidity. Round mouth feel with tropical fruit and cinnamon on the palate. Sweet spice and pepperiness on the finish. An elegant wine. Rating: An elegant wine with tropical fruit on the nose and palate. Would be nice with grilled halibut. 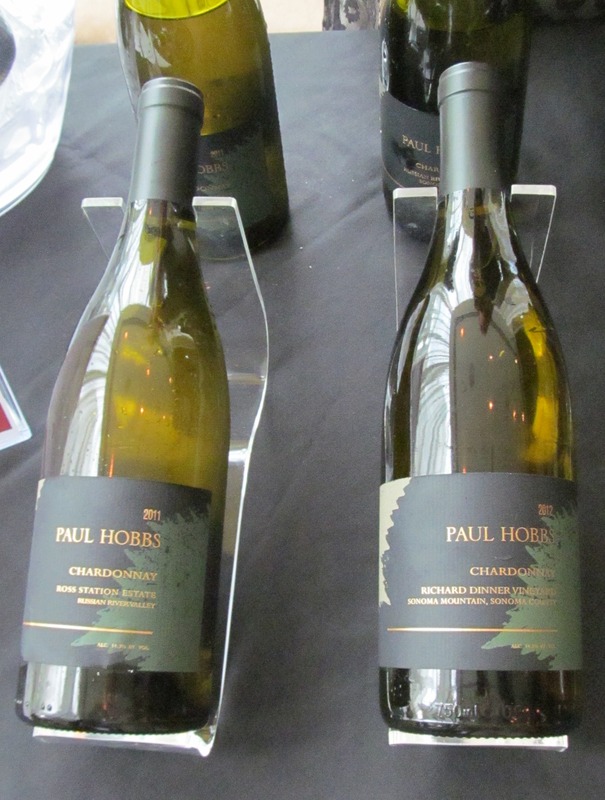 Paul Hobbs Russian River Valley Chardonnay 2012 ($59.99) – Toasty oak and vanilla aromas. Medium body, dry and round in the mouth. A more pronounced amount of sweet spice and toastiness on the palate. Primarily tropical fruit flavour but green apple grows in prominence toward the finish while tropical fruit diminishes. A more complex wine. Rating: A fuller bodied Chardonnay with a bit more fruit complexity to charm your guests. Paul Hobbs Richard Dinner Chardonnay 2012 ($102.99) – I was told that 2012 was a perfect season for Chardonnay in California. This wine spent 11 months in French oak, 60% new barrels. While in barrel the went underwent malolactic fermentation, which converts the more sour malic acid into softer lactic acid. This wine was lemony green in colour. A more restrained, vanilla, toast and tropical fruit nose. Quite soft and round in the mouth, with flavours of tropical fruit, green peas and a hint of vanilla. There was also sweet spices that went from the mid-palate to the finish. An elegant wine. My favourite of the Chardonnays. Rating: A wine with finesse and restraint to enjoy with a leisurely dinner. Paul Hobbs Russian River Valley Pinot Noir 2012 ($69.99) – Some earthy funk on the nose, ripe red fruit and restrained vanilla. Medium body, dry, with a lighter mouth feel. Nice red fruit flavours with a hint of violets. Sweet spices, pepper, and sour cherries on the finish. Quite a pretty wine. Rating: Enjoy the red fruit flavours and the hint of violets of this pretty Pinot Noir. 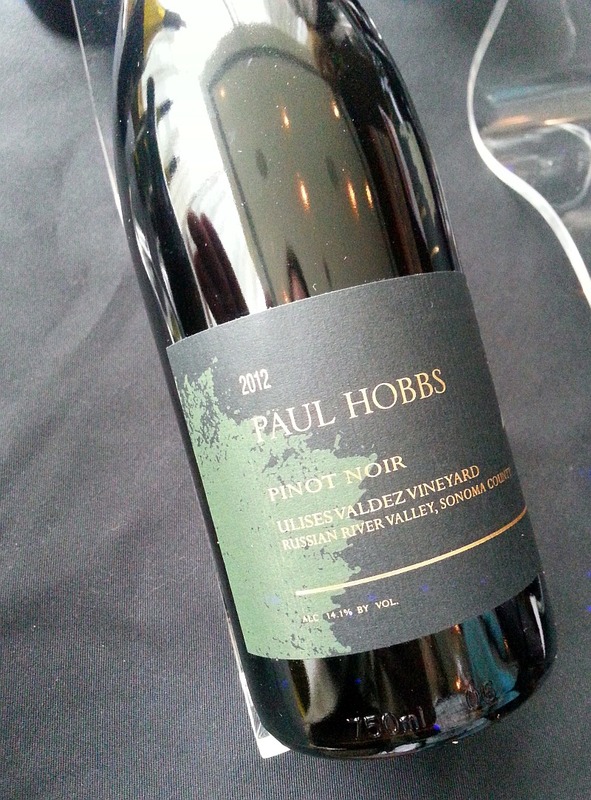 Paul Hobbs Ulises Valdez Pinot Noir 2012 ($99.99) – Light red cherry, nutmeg, and vanilla aromas. Light body, soft and dry, with fine tannins. Tea leaves and red berry flavours, with pepper on the finish. Another elegant wine. Rating: Another flavour profile of Pinot Noir, this time showing red berries and tea leaves on the palate. Paul Hobbs Beckstoffer Dr Crane Vineyard Cabernet Sauvignon 2011 ($237.99) – Light intensity nose with baby powder and purple fruit aromas. Full body, round, with a medium tannic structure. Ripe red fruit and plum flavours, together with a mineral component. Understated vanilla. Long length, and elegant. Rating: Ripe fruit flavours, together with a tannic structure and minerality give this wine elegance and length. Paul Hobbs Beckstoffer To Kalon Cabernet Sauvignon 2011 ($349.99) – Light intensity cassis, vanilla, and a whiff of capsicum on the nose. Dry and mineral, with ripe purple fruit and vanilla flavours. Tannins kick in and the minerality builds in your mouth. Quite amazing. A very interesting wine. Rating: An amazing wine with ripe purple fruit flavours, and tannins and minerality that builds in your mouth. 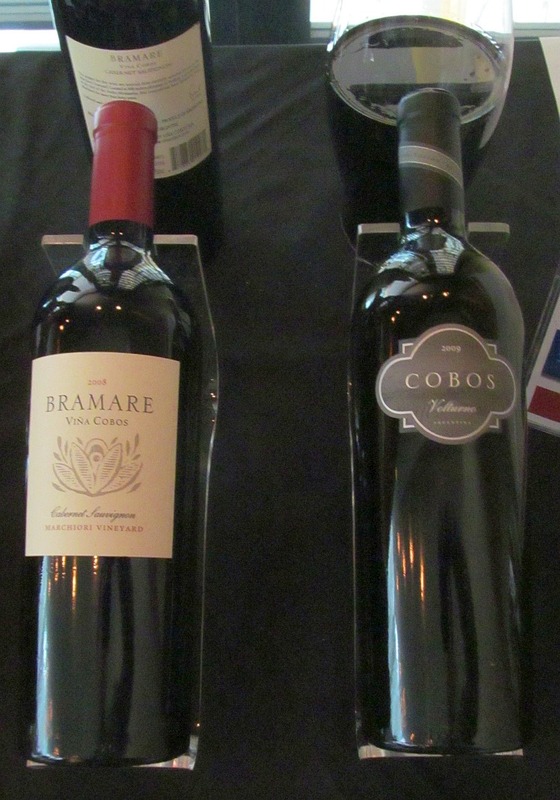 Viña Cobos Bramare Rebon VIneyard Malbec 2012 ($79.99) – Opaque ruby in the high. Ripe cassis with a hint of earthiness on the nose. Full body, round, with a heavier mouthfeel. Silky tannins. Ripe dark & purple fruit, along with cassis, tea leaves and a hint of spice. Some drying tannins on the finish. Nice. Rating: Ripe cassis on the nose and palate, with silky tannins for the full bodied Malbec. 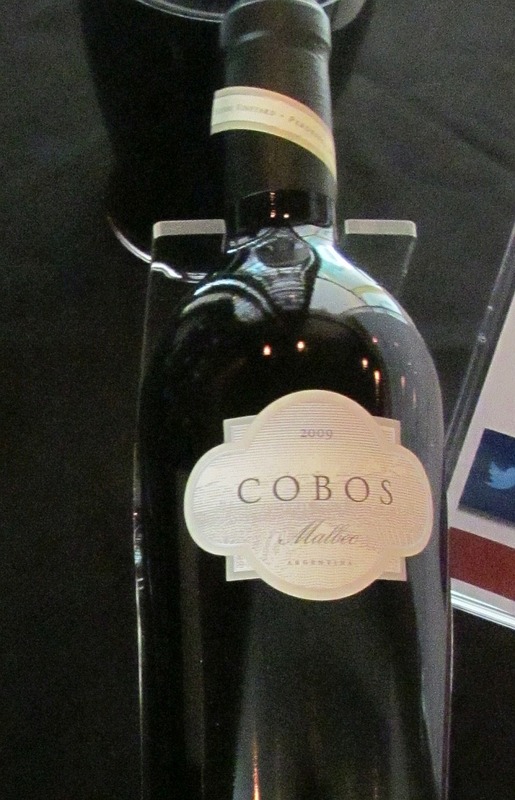 Viña Cobos Cobos Malbec 2009 ($166.99) – Beautiful nose, with sweet red fruit and vanilla all integrated. Full body, with ripe cassis, red fruit and cherry on the palate. This wine feels rich in your mouth and coats your tongue. It also has a mineral component, and pepper that builds in your mouth. My only issue is that it is a bit hot on the finish. Rating: A beautiful nose and a rich wine that coats your tongue. Viña Cobos Bramare Marchiori Vineyard Cabernet Sauvignon 2008 ($79.99) – Nice nose with some matchstick, sweet, ripe dark fruit, vanilla and chocolate aromas. Full body, mineral and mouth filling. Ripe, juicy dark berries. Medium minus tannins. A solid wine. Rating: Full bodied with ripe dark fruits and medium minus tannins making a solid wine for you. Viña Cobos Cobos Volturno 2010 ($199.99) – This wine is a blend of 70% Cabernet Sauvignon and 30% Malbec. The wine spent 18 months in new French and American oak barrels. An interesting nose with ripe purple fruit and vanilla aromas. Full body with cassis, and ripe raspberry flavour. Some pepperiness from mid palate to the finish. Medium tannins add some structure. Very high quality. Rating: Afull bodied, structured wine with cassis and ripe raspberry flavours, that is top quality. Link to Paul Hobbs’ California winery. Link to Paul Hobbs’ Vina Cobos winery in Argentina.